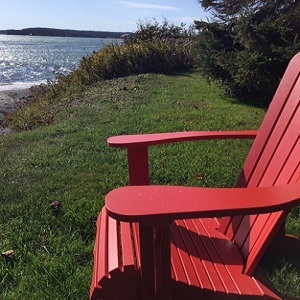 Reflections from the Red Chair - Abundant Living, Inc. In my whole life, I have never heard anyone say, “I listened to my gut instinct and what an idiot I was!” Never. Our gut instinct is one of our most powerful guiding forces and yet so many of us are inclined to not trust what our inner wise-self wants us to do. If you understand the most basic workings of the human brain, you come to know that the brain is made up of three parts. The neocortex, the outer part, is responsible for our rational, analytical thoughts and controls our language. The inner two sections of the brain are known as our limbic system, which is responsible for our feelings. It also controls our behavior and our decision making but it has no capacity for language. Why is it important to know about the distinction between these two? Because it is our limbic brain that is home to our gut instinct. This is where our feelings and decision making reign and it explains why we can find ourselves saying, “I know logically we should go with decision A but it just doesn’t feel right.” Disregarding our inner wisdom is disregarding a major portion of our brain’s power to guide us towards high-quality decisions, yet it is underutilized far more than our neocortex brain that feeds on logic, facts, and analysis. chair and have learned to trust what I am feeling as much as what I am analyzing. So I would encourage you to create your own version of a red chair and cultivate a stronger relationship with your limbic brain – a.k.a. your inner wisdom or your gut instinct. P.S. If you’d like to know more about how the limbic brain influences decision making, check out this great Ted Talk by Simon Sinek on his work around Start With Why.